We make a top effects for all who love FL Studio. This is commercial job the specially for FL 20. Today we want to show you the exclusive Quick Review by ZGamerX 5, job with cool effects for FL Studio 20.1 (ZGameEditor) do you like it? Download ZGamerX 5 and make a cool videos with up to maximum ULTRA HD effect. ZGamerX 5 based on vectorial graphic® Supported 6K, 7K.. UltraHD, UltraHQ 60FPS. The all release have a 52 cool templates, we save a loved history’s with the ZGamerX 1 and develop a new effects based on MonsterCat visualizations styles. We made a best, not more a large files, much more 300mb, but now it's just the max 30mb. 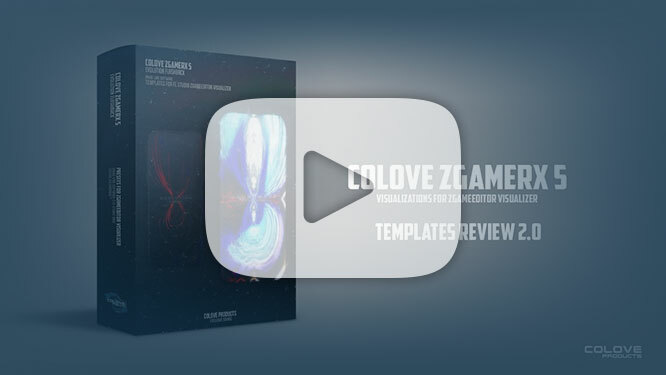 These are cool, juicy and tasty 3D and 2D templates FL20.1 ZGE for your presentations and YouTube promotional companies. All rights reserved for you. You can use the finished (RENDERED) product for the commercial purposes, all contents by COLOVE Products. We do cool stuff from nothing. We do cool visuals by ZGE. We are the best in our genre! Full support 4K resolution and more..
PS. Thank Audiomachine for the cool music..
About video: Best Quality, 1680x1050 Captured, 5K Rendered. Come visit us in our stores and buy what you would like. Please find below a links. Go to future with 'COLOVE Products'... Enjoy the powerful sounds of COLOVE!